This mixed wood shelving is gorgeous! 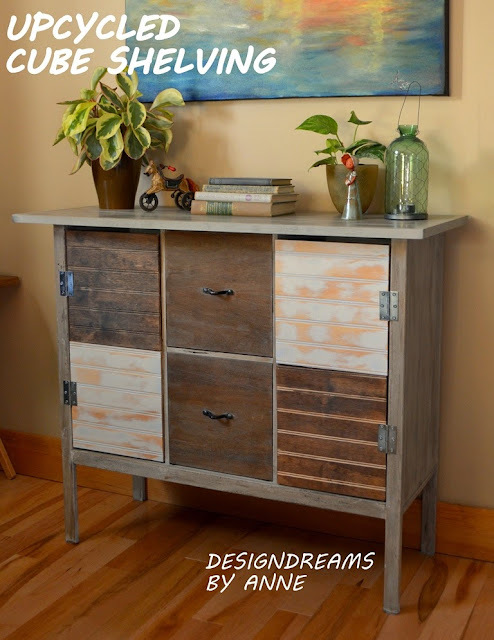 I love the different colors and textures that Design Dreams by Anne incorporated this upcycled beauty. See the Upcycled Cube Shelving.